Criterion (i):Takht-e Soleyman is an outstanding ensemble of royal architecture, joining the principal architectural elements created by the Sasanians in a harmonious composition inspired by their natural context. Criterion (ii):The composition and the architectural elements created by the Sasanians at Takht-e Soleyman have had strong influence not only in the development of religious architecture in the Islamic period, but also in other cultures. Criterion (iii):The ensemble of Takht-e Soleyman is an exceptional testimony of the continuation of cult related to fire and water over a period of some two and half millennia. The archaeological heritage of the site is further enriched by the Sasanian town, which is still to be excavated. Within the boundaries of the property are located the known elements and components necessary to express the Outstanding Universal Value of the property, including the lake and the volcano, archaeological remains related to the Zoroastrian sanctuary, and archaeological remains related to the royal architecture of the Sasanian dynasty. Masonry rooftops have collapsed in some areas, but the configurations and functions of the buildings remain evident. Takht-e Soleyman was inscribed on the national heritage list of Iran in 1931, and it is subject to legal protection under the Law on the Protection of National Treasures (1930, updated 1998) and the Law of the Iranian Cultural Heritage Organization Charter (n. 3487-Qaf, 1988). 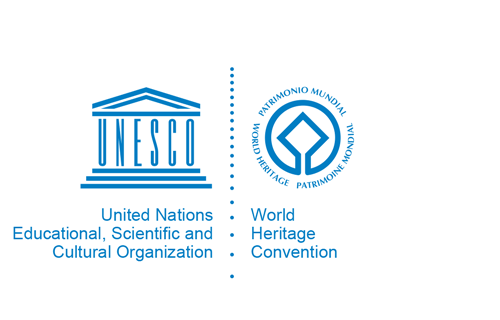 The inscribed World Heritage property, which is owned by the Government of Iran, is under the legal protection and management of the Iranian Cultural Heritage, Handicrafts and Tourism Organization (which is administered and funded by the Government of Iran). Acting on its behalf, Takht-e Soleyman World Heritage Base is responsible for implementation of the archaeology, conservation, tourism, and education programmes, and for site management. These activities are funded by the Iranian Cultural Heritage, Handicrafts and Tourism Organization, as well as by occasional international support. The current management plan, prepared in 2010, organises managerial strategies and activities over a 15-year period. Sustaining the Outstanding Universal Value of the property over time will require continuing periodic on-site observations to determine whether the climate or other factors will lead to a negative impact on the Outstanding Universal Value, integrity or authenticity of the property; and employing internationally recognised scientific standards and techniques to properly safeguard the monuments when undertaking stabilisation, conservation, or restoration projects intended to address such negative impacts.